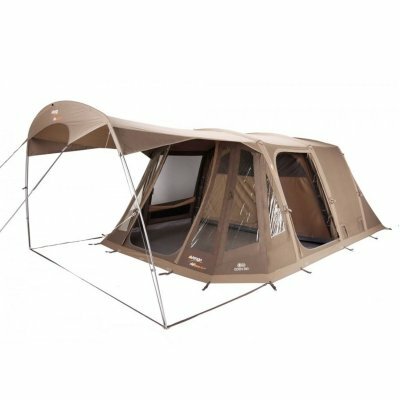 The Outwell Harrier L also makes use of the Smart Air Inflatable technology for an even more robust structure. 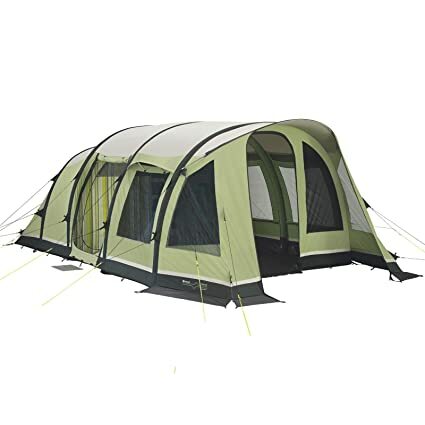 The inflatable tubes mean that inflating the tent is incredibly simple and can be done from one valve, rather than having to move the pump to each separate pole individually. This can greatly cut down the amount of time it takes to pitch the tent, as well as simplifying the process. The poles also feature isolation valves to ensure that a puncture doesn’t mean the whole of the structure is compromised. 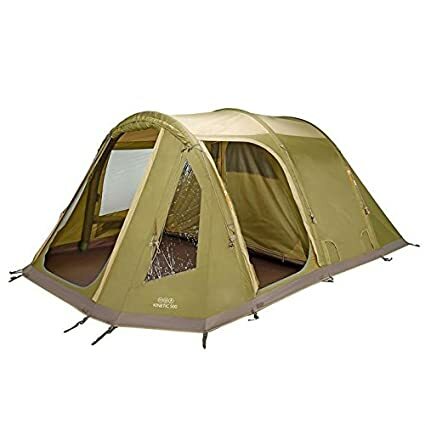 If you find yourself with lots of wet clothing or equipment when camping, the large front porch area of the Outwell Harrier L will come in very handy. It’s a great place to store wet gear or keep outdoors equipment safe and secure overnight such as cooking equipment and other camping paraphernalia. The porch area also features large windows for maximum viewing angles and allowing natural light into the tent. Each window is fitted with poly cotton curtains for shade or privacy when required. 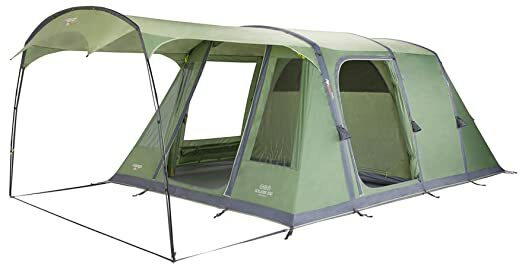 The handy meshing on the doors also makes it very easy to keep the Outwell Harrier L well ventilated without inviting in a horde or bugs and insects. 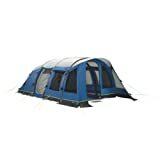 If you want a very fast pitching inflatable tent with lots of windows then you will be hard pressed to do better than the Outwell Harrier L.